Not long ago I bragged about some of my work being shown on TV on local news stations, but today I can say that Chris Love Productions is really making its television debut as ESPNU gets set to air its annual coverage of the College Sailing National Championship. The one-hour show, produced and hosted annually by Gary Jobson, will first air tomorrow, Friday, July 11 at 7:00pm ET on the cable channel operated by ESPN. I was honored to be invited to join Jobson Sailing’s production team, who have now produced the show for ten years running. Working alongside producer/host Gary Jobson, shooter Mike Audick, onboard camera guy Jeff Mootz, and editor Scott Shucher, who have been working together for decades, I got to experience true broadcast production in its most professional fashion. 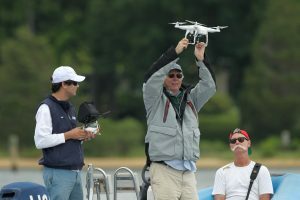 I also got to bring in cutting edge new production technology, flying my DJI Phantom 2 quadcopter to provide aerial footage of racing for the first time in this event’s history. In addition to the role of pilot, I also had the chance to fill in as interviewer on the final day. While I found it daunting to try to fill the shoes of the singular great American sailing television personality Gary Jobson who, over the past thirty years has been awarded dozens of honors— including two Emmy’s—for his work in the sport, I quickly fell back into the rhythm I first developed covering collegiate racing for Sailgroove.org, making brief connections with sailors and coaches between races as they fight for the national championship. Capturing the celebration from water and air. Photo © Brian Schneider / www.ebrianschneider.com. 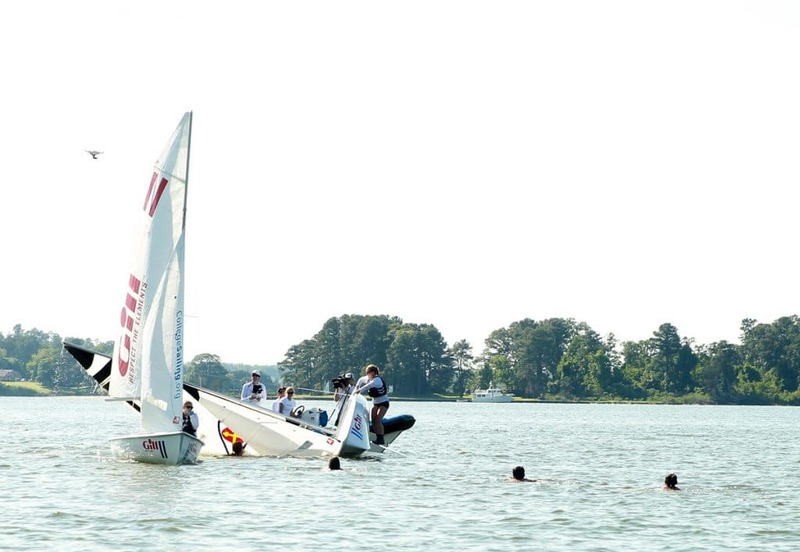 Yale University dominated the Gill National College Sailing Championship last month. It was an impressive performance. Last time Yale won the Coed Championship was 1975. ESPNU presents a one hour program in high definition on the 2014 regatta. A combination of stabilized on-the-water cameras, onboard images and sound, and for the first time, aerial photography from a drone. This program shows college sailing at its best. 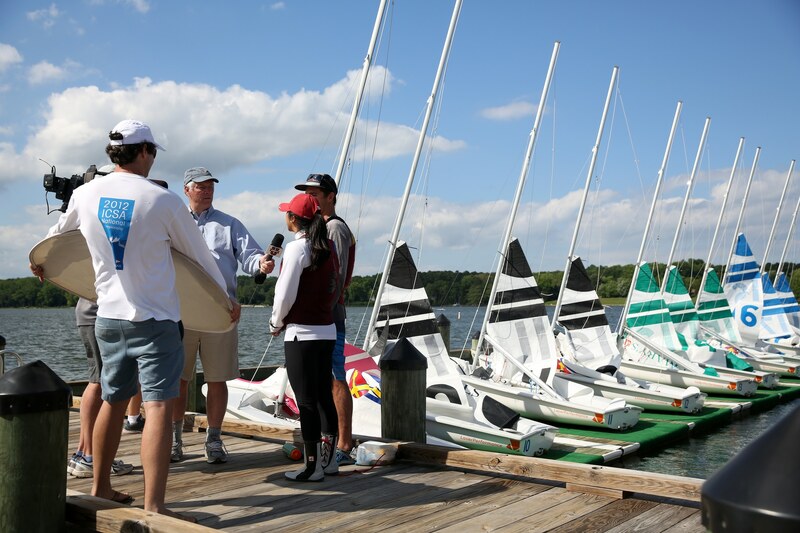 Interviews with the sailors and coaches enhance the narrative throughout the two-day regatta that was hosted by St. Mary’s College of Maryland. While Yale ran away with the Championship, the battle for second was hard fought. 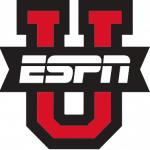 “College sailing is grateful for ESPNU’s coverage over the past 10 years. It brings this exciting part of our sport alive,” says Mitch Brindley, President, College Sailing. This program is hosted by Gary Jobson. 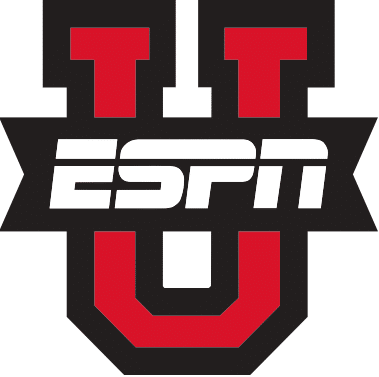 Note, if you can’t catch the show this weekend, check TV listings throughout the summer, as ESPNU frequently re-airs the program without advance notice. All photos by Brian Schneider / www.ebrianschneider.com.